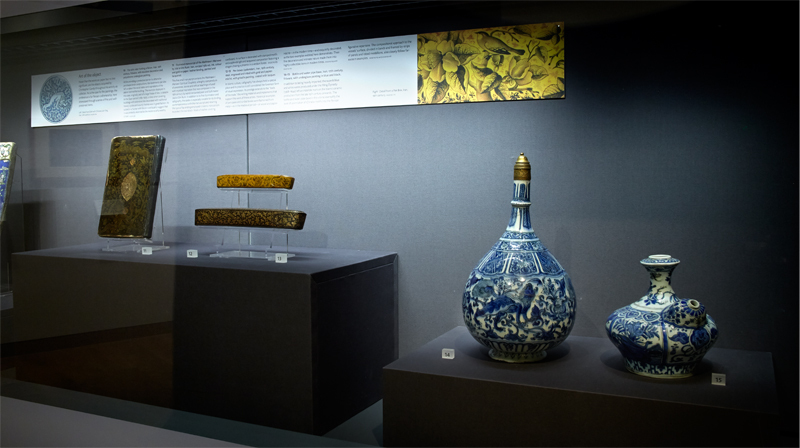 Lure of the East celebrates the life-long fascination for the Middle East of Christopher Gandy, whose collection was recently donated to the Ashmolean. 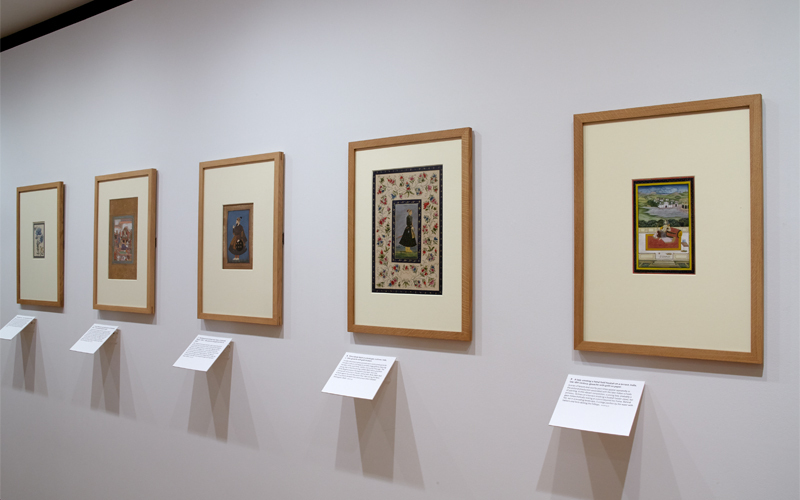 A diplomat active in Yemen, Libya, and Iran from the 1940s through the 1970s, Gandy began to systematically collect Islamic art only at the end of his career until the early 2000s. 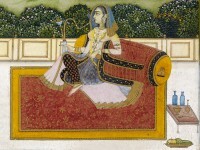 Wisely navigating the competitive world of art collecting, he managed to secure several splendid objects which are a testimony to his refined eye and a welcomed addition to the museum's Islamic collection. 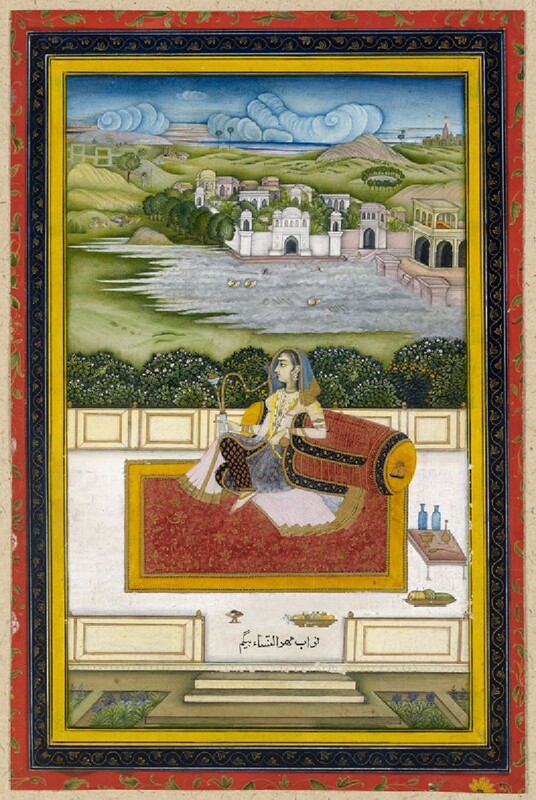 Gandy's bequest consists predominantly of works on paper - calligraphic specimens, Qur'anic pages, portraits from albums (muraqqa') and illustrated manuscripts, along with a few illuminated codices - complemented by two dozen ceramic wares, about 15 metal objects, and miscellaneous material in wood, leather, and lacquered papier-mâché. The objects are datable between the 11th and the early 20th century and were produced in countries as diverse as Egypt, Turkey, Iran, Afghanistan, and India. 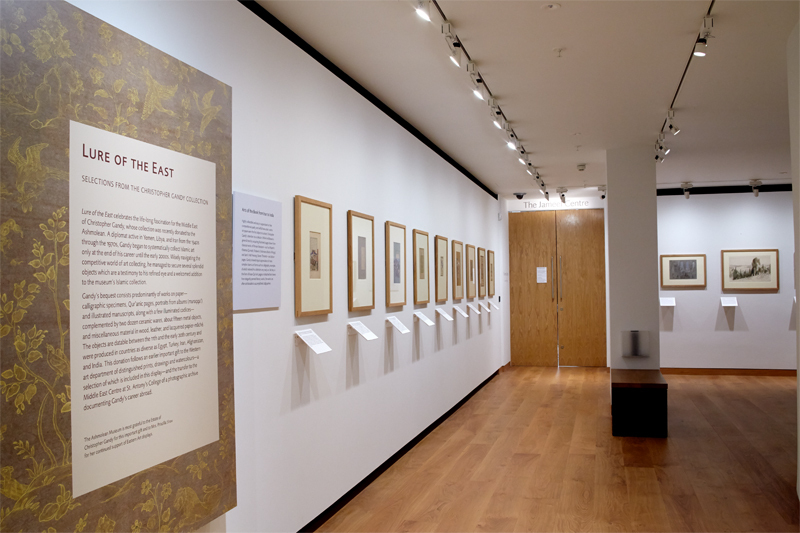 This donation follows an earlier important gift to the Western Art department of distinguished prints, drawings and watercolours - a selection of which is included in this display - and the transfer to the Middle East Centre at St. Antony's College. Eastern Art Online presents an online version of the exhibition Lure of the East: Selections from the Christopher Gandy Collection to enable visitors to browse and search the Eastern Art exhibition objects and their high-quality zoomable images. Eastern Art Paintings Gallery - Lure of the East exhibition vitrine case. Eastern Art Paintings Gallery - Lure of the East exhibition panel. Eastern Art Paintings Gallery - Lure of the East exhibition detail.